Front page Google results are absolutely fundamental for businesses trading on the internet today. We have helped many of our customers attain first page results on Google.co.uk and Bing.co.uk. It therefore follows that we should be achieving first page results for our own website. We have proudly demonstrated this fact with a variety of specific keywords in the past and now are proud to announce that we hold the Number One spot on Google.co.uk for the search phrase ‘Web Designers Ipswich’. It is very important that we can in effect ‘practice what we preach’, and by hitting number one, we feel we can honestly demonstrate this. 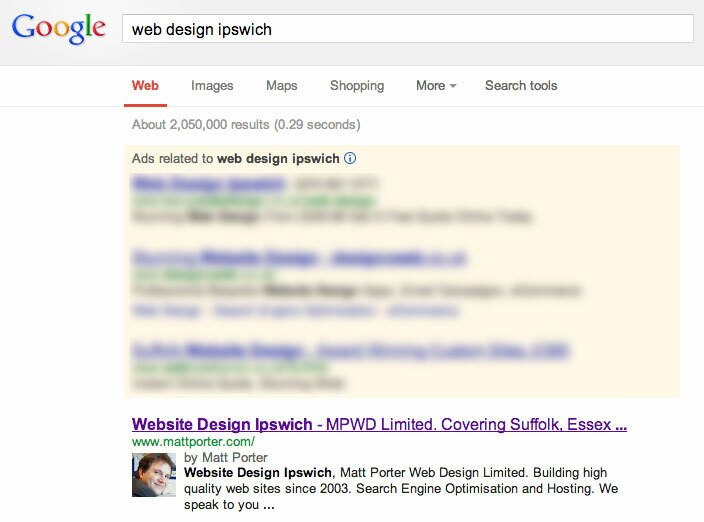 If you are looking to achieve ‘lasting’ search engine results for your business, speak to MPWD today!! Either email us or call us on 01473 272002.